New research for Greener Journeys demonstrates a compelling case for the Department for Transport to issue a Guidance on Promoting Local Economic Growth. There is a growing interest in the importance of towns and cities to our economic and social welfare, in what makes them successful and how we can shape their development. Transport networks and local bus services are vital to this new urban agenda. Our ability to get around shapes where we live and work, where we are educated, how easily we can attend to our healthcare needs, where we shop and how we use our spare time. Local decision makers have been given the important responsibility of determining how to allocate funding for transport schemes. They also need to develop robust and rigorous plans for the monitoring and evaluation of these schemes. It is not clear, however, at what level this needs to be done and there is no guidance on the monitoring and evaluation of specific schemes. Making sure that schemes provide value for money, and work for the benefit for local communities is now more important than ever. It is in all our interests to ensure that local decision makers can make investments which will promote economic growth. 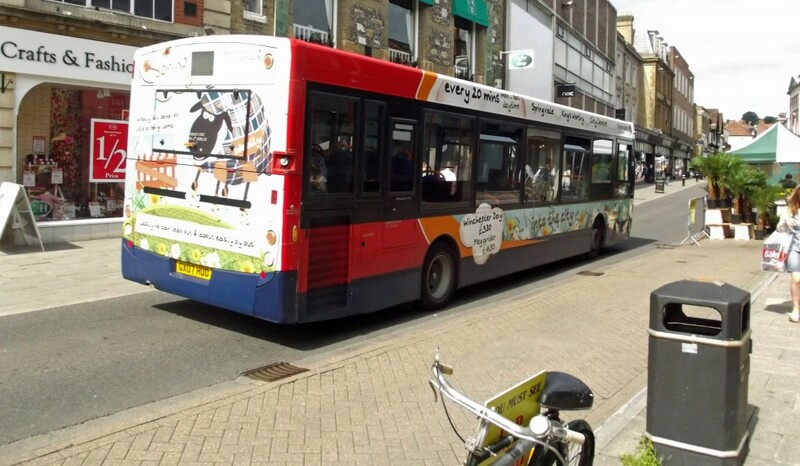 Buses have a particularly key role to play in enabling our towns and cities to prosper. For example, every year, bus users make 1.4 billion shopping trips and spend an estimated £27 billion on retail goods. Almost 2.5 million people in the UK travel to work by bus and a further one million use the bus as a vital back up. Those commuters create more than £64 billion worth of goods and services. A major barrier to Britain’s long-term prosperity is traffic congestion in urban areas – a problem which is getting worse. Latest figures published by data firm Inrix reveal that congestion has risen over the past year in more than three quarters of UK cities, and that overall traffic in the UK is up for the third year running. They attribute the rise in congestion to the strong growth of the UK economy and rise in urban populations, which have resulted in an increase in demand for road travel. Building on this earlier work, new research for Greener Journeys by KPMG has considered how we can improve decision making in regard to investing in local bus infrastructure. In this latest work KPMG have investigated the costs and benefits of investing in local bus infrastructure schemes and how to monitor and evaluate their impact. A core part of their work included detailed ex-post evaluations of bus infrastructure projects. These evaluations not only documented the extent to which objectives were achieved, they also identified important lessons learnt. The selected schemes were: Crawley FastWay, a series of bus priority measures along two core routes linking Horley, Gatwick airport and Crawley; Mansfield Public Transport Interchange, a new fully enclosed bus station building with a connecting footbridge to the railway station; and, the South East Hampshire Bus Rapid Transit (Eclipse), a high specification, sub regional public transport network. KPMG found that each of these projects achieved or exceeded their specific objectives and targets, and delivered very high value for money. For each £1 of investment, the Fastway project delivered to users, non-users and the wider economy benefits of £4.67. The Mansfield interchange delivered benefits worth up to £6.50; and for the Eclipse, up to £6.94 was delivered for each £1 invested. Some targets were even exceeded. All schemes exceeded patronage growth targets, with demand for Fastway services increasing by 160% between 2003 and 2013; the Mansfield interchange showing 7% growth in the first year of operation; and, patronage for the Eclipse growing by 48% over the first two years of the service. This would explain how bus-related infrastructure can help local economies to grow. It would provide guidance on the evaluation of schemes, and would include evaluations of particularly large and complex schemes. Periodically a meta-analysis of local bus schemes would be undertaken to ensure that lessons learnt can be shared amongst scheme promoters. If we want to see our towns and cities thrive the role of the bus must be maximised. The new Guidance would be a major step towards ensuring that local decision makers are empowered to seize this opportunity.